In my last post I showed how “cheap” it was NOT, just to start a business using franchises which is the road that a lot of people go down when wanting to start up their own business. As a business model there are many advantages to the franchise model, you are already or should be buying into a successful business model. They will have their own manuals on virtually every task so that it is easy to find solution s to any problem. They will also have a team or individual that will be there to support you through your start up franchise. But all this comes at a cost; Bryan McHeyzer in a comment on Part 1 gives the figure on $1,000,000 to set up a McDonalds in Australia. Now that’s rather too rich for my blood I think limiting the risk to $100 or less is the better option I think you will agree. There are even some businesses that you can start for nothing. Not silly ones like stuff envelopes and make a fortune, my brother tried that when he was a student, he was the one who got stuffed! Or make….. [insert amount here], don’t you always know its going to be a MLM (Multi Level Marketing) “opportunity”. Now if you want to lose friends fast and become a social outcast just follow the helpful instructions “Start by selling to your friends and family” or you could just hang a placard around your neck and ring a bell shouting “UNCLEAN” it’s just as easy. What about drop shipping, just sell on eBay we ship for you! Yes of course I want to sell stuff on eBay at a much higher price to the drop shipper than I can source it myself. It does have the advantage of paying people to lose money on your behalf so that you don’t have to put the effort in yourself. If you have an Internet connection you practically have every thing you need to start with now. I have just completed my new product 12 Roads to Success, 12 proven Blueprints for online success, and I am going to make this available at a special subscriber discount at only $17 for a limited time only. Here’s the best bit I have made available a leaked chapter for you to test drive, get it here by clicking the link below. The “Leaked Chapter” is a complete stand alone business Blueprint in itself, which will.. Sorry you can read this for your self by clicking the link :-). You don’t need to spend a fortune on the “Gurus” latest make a fortune online and oh and by the way there’s another one you really need coming along in 2 weeks which will cost the other arm and leg but if you don’t have it you won’t make a penny product. Phew what a long sentence. 12 Roads to Success reveals several ways of starting your online business without spending a penny, here’s just 1 simple idea for 12 Roads to Success. Start with some simple blogging techniques by constructing a review blog for other people’s products. You can get a free blog at Blogger.com I show you how to set this up. Want to know more, then click the link for you copy at my special discount rate. Or test drive the 12 Roads to Success leaked chapter now by clicking the link. Posting articles to article directories makes for a quick way to make your website a success. While writing is very boring, it definitely is worth every bit of time in which you put into it. I stumbled upon your blog on technorati and check some of of your early posts. Keep up the excellent work. I just added up your RSS feed to my MSN News Reader. Looking forward to reading more from you in the future! Nice follow up to your part 1, and cleverly linked into your product. You have an easy style of writing and give a lot of valuable advice. MLM selling to friends and family is a sure way to lose them, I know and I nearly did just that! All the best, just off to start a new franchise anyone got a spare 100 grand? Hi Rob, The franchise model is going to be around for a long time. I even see it being used as a way to expand the sales and reach of proprietary software programs like Butterfly Marketing. Your Business Blueprints product looks very appealing so I’m going to check out your sneek peek offer. Be well and keep crushin’, Steve D.
Very very clever approach to part 2, as soon as I read part one I jumped over to part 2. Bang your product. Have you got rid of many copies doing your sales pitch this way? I want to start a dvd rental store but the costs are up there. I would need around $300,000 to start a decent store, but with my past experience managing one, the profits can be upwards of $3,000 per day. It was my first business venture within Kleeneze a kind of pyramid sales model where I would make a few bucks and some other guy at the top end of the chain was making £58000 per month from his downline including me! I guess I wanted control of my own business, personally I think I was playing a mugs game, in this post,about your product I love business models and concepts very like your ’12 roads to succees’, to me the content teaches you how to have a business right off your own bat that you can grow and reap the benefits of it all for yourself! I think you was right to create a second post on your new book, it raises the issue strongly on what does work best for your own interests in the long run! Just came over to continue the conversation from your awesome comment at my blog, and I have to say that I am very impressed with the whole package you have created here – well done! Great theme, look, topic, everything. Great follow up to part one. I will check your free part to your 12 step plan and get back to you. Just visited your freebie lesson 10. Great stuff, clearly explained and what a great format to teach others. Here is how I see it. Anyone can get an associate or a friend to view and review such a product. You could hire or put a friend to work doing the research you suggest and make them experts at doing all you say. Make this person a JV partner and away you go. If each of you has a speciality you can combine them and make a small fortune,right? P.S. Ideas come from using your head and thinking of “action plans”. I liked your 12 step plan. Well written good contents and easy to follow by everyone. 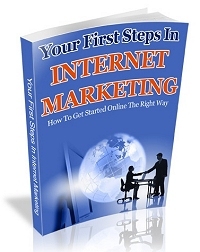 You are a well established Internet marketer, as you are making money on the net for a while and from the giants of Internet Marketing. I should say you must have the sales skills to sell ice to Eskimos. I see you are another of JT’s people. Excellent coaching isn’t it. EBay is a mystery to me I have to say although I feel I should get involved even if only to build my list. Going to read your “Leaked Chapter” as the post was very good. This was a wonderful post. It good to read a post that teaches and suggest the right thing to do as well.I must say this a Very very clever approach to part 2. I believe this is the kind of information that every newbie must put into consideration in starting an business online. Thanks for bringing this topic into light. Hope more interesting discussion will follow.